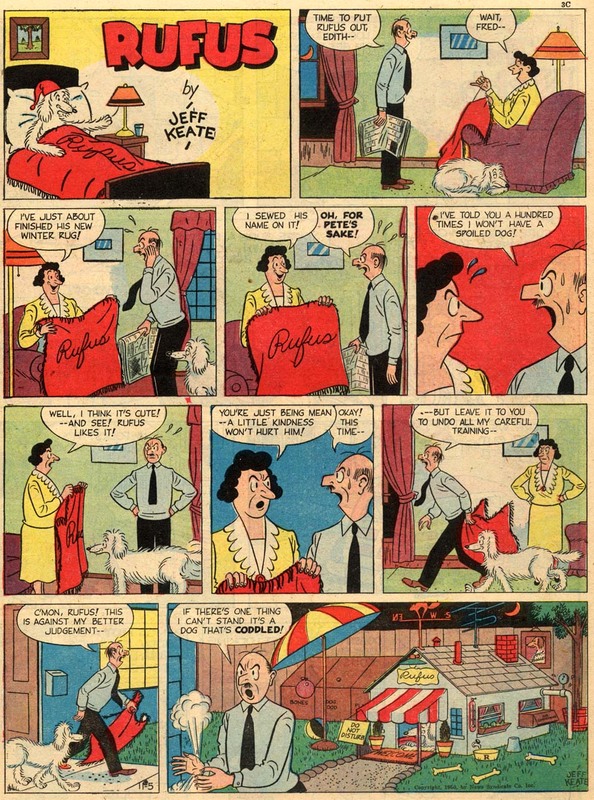 Finally off the list of mystery strips is Rufus by Jeff Keate. I have posted two Editor & Publisher articles claiming the existence of this strip on the blog (7/29/1950 and 8/19/1950), but only recently found a few examples. Rufus was a filler added to the line-up of the New York Sunday News Sunday funnies section on September 17 1950. This strip, along with a new Sunday version of Salo Roth's Laughing Matter and a few properties that had previously been edged out of the section, formed the extra pages needed to move the section from 16 to 24 pages. If I understand E&P correctly, this expanded section was only included in the national edition of the Sunday News, not the New York City edition. Although E&P indicated that Rufus was offered for syndication, this seems unlikely. News Syndicate didn't, as far as I know, attempt to syndicate any of the fillers that were added to the Sunday News line-up, and there were quite a few of them in the 1950s and 60s. 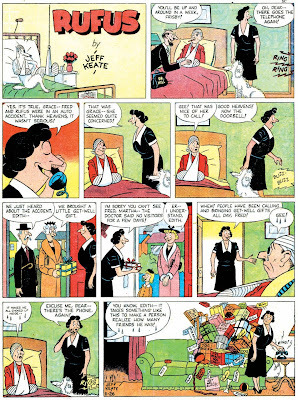 My samples of Rufus are all from November 1950, and this may be about as long as the rather flat dog strip ran. Does anyone have later samples? 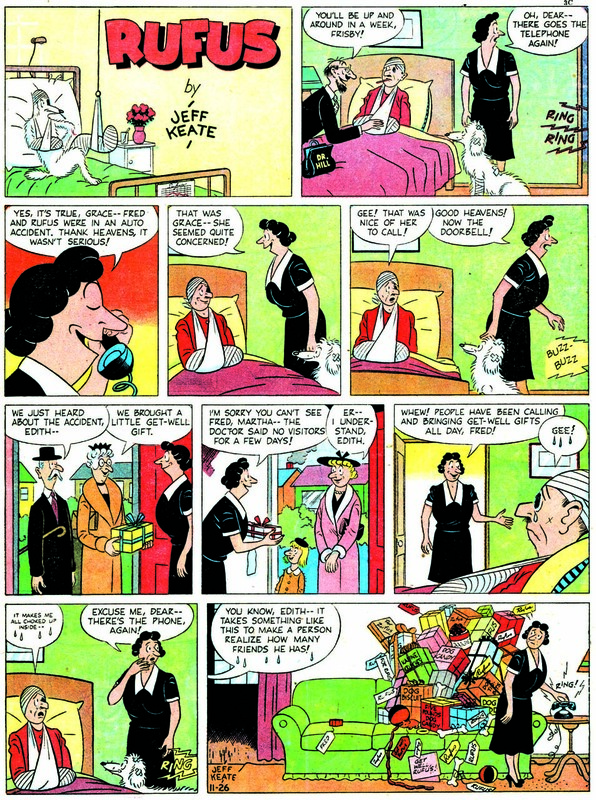 Michael J. Vassallo‎ (Doc V) found another appearance dated December 17, 1950...he posted on his New York Sunday News Comic History Group over on Facebook. And two additionally more, January 7 and 14, 1951. Thanks CArchivist and Doc V., I will update my records. Sure wish I could access Vassallo's Fasebook material, but for some reason I cannot.